In 2009, Foreign Policy published a list of the “Top Ten Books Every International Relations Student Should Read,” selected by Stephen Walt (2009). Some were surprised to see Karl Polanyi’s The Great Transformation ranked alongside works by recognized IR scholars such as Kenneth Waltz and John Mearsheimer. It was an unofficial canon—one professor’s personal preferences. But it was symptomatic. Thirty years earlier it would have been unthinkable. What had changed? Some credit must go to IR scholars who found inspiration in Polanyi’s writings and introduced them into the literature. This occurred in four phases. The first, commencing in the 1970s, saw the elaboration of world-systems theory by Terry Hopkins and Immanuel Wallerstein—student and protégé respectively of Polanyi. The second, commencing in the 1980s, was initiated by the IR scholar John Gerard Ruggie. Drawing on Polanyi’s concept of the “embedding” of economy in society, Ruggie (1982, p.385) proposed that postwar capitalism had enjoyed a period of “embedded liberalism,” featuring an institutionalized compromise between domestic political-economic autonomy and a multilateral trade and currency system. The third, enjoying its heyday in the 1990s, elaborated Polanyian analysis into a case for what Björn Hettne (1993; 1997, p.17) referred to as a “new regionalism,” exemplified by the European Union. Fourthly, IR theorists at the turn of the century began to steer Polanyian discourse in new directions. Hannes Lacher (1999, p.325) sought to reclaim Polanyi for socialism. For Lacher’s staunchly anti-capitalist Polanyi, “no mere protectionism and state intervention” could re-embed the market; on the contrary, they formed “part of the pathology of market society.” Another direction was initiated by Naeem Inayatullah and David Blaney (1999). They introduced Polanyi to the swelling interest in methodology and philosophy that had begun to transform the discipline in the 1990s. For them, his critique of market society’s logics of homogenization was valuable not simply in analytical terms but above all for its methodological fertility. Finally, as if to confirm by negation Polanyi’s arrival within IR’s halls, a pithy critique of his international thought was penned by Sandra Halperin (2004). She took Polanyi to task for his “top-down analysis,” arguing that his work downplays conflict and power structures and neglects the determining role of class relations. The discovery of Polanyi by the IR community was informed by the broader context: by disciplinary shifts (in particular, increased attention devoted to international political economy) and, crucially, by the ascendancy of neoliberal ideas and policies that bore a striking resemblance to the ‘market fundamentalism’ that Polanyi dissects in The Great Transformation. 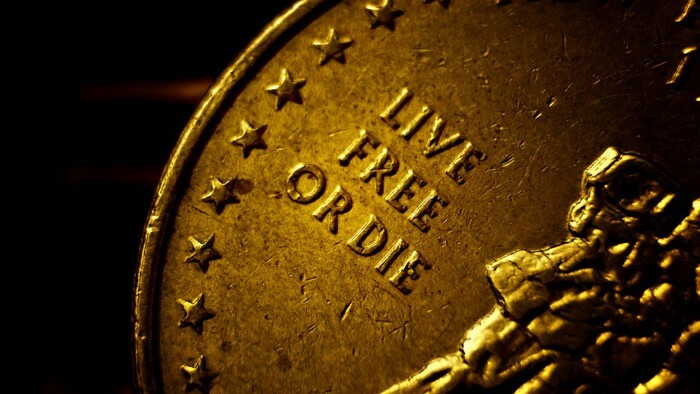 Its central thesis is that the morbid events through which its author’s generation was living—two world wars, fascism, and the Great Depression—formed an interconnected “cataclysm” the origins of which lay “in the utopian endeavor of economic liberalism to set up a self-regulating market system” (Polanyi, 2001 p.31). What was it about the market system that had brought the world to the brink? At bottom, Polanyi suggested, it is that the self-regulating market treats land, labour and money as though they are commodities. By appropriating land, labour and money unto itself, the self-regulating market subjected “society” to its peculiar laws, and simultaneously, at the institutional level, separated itself from the political sphere. This marked a novel departure from all previous social formations, in which the “legal, moral and economic organization is one” (Polanyi, quoted in Dale, 2010, p.50). But the very extremism of the self-regulating market ensures that it cannot rule unchallenged. Polanyi’s second thesis is that the subsuming of vital elements of human life and nature beneath the calculus of purchase and sale produces such corrosive tendencies that spontaneous reactions of ‘social protection’ are inevitable—in Polanyi’s lexicon, the ‘countermovement.’ In the nineteenth century the countermovement acted as a scaffold that provided necessary support for market expansion by checking its destructive tendencies, but in the twentieth it became a scaffold in the alternate sense: the platform upon which the market system met its quietus. The Great Transformation charts in detail the ‘disruptive strains’ that brought the market system to collapse. In the long run the tensions between the market economy and ‘society’ could not be sustained. On one hand, protective measures such as tariff policies and trade union practices were indispensable to preventing the destruction of society by the “blind action” of the market-mechanism (Polanyi, 2001, p.228). On the other, these same measures were responsible for the exacerbation of economic slumps and protectionism. Polanyi subscribed to the pre-Keynesian tenets that interference with markets causes them to malfunction, that higher wages lead to lower investment, and that stronger labour movements diminish capitalism’s recuperative powers. Protectionism, he argued, undermined the vitality of the market economy that had elicited it. A richly original work though it be, The Great Transformation is encumbered by a number of blindspots and internal tensions. First, Polanyi combined a critique of the market system with agreement with marginalist economic theory (Dale 2010; Gemici 2015). This left his critique resting heavily upon a postulated moral distinction between normal commodities and what Polanyi, following Ferdinand Tönnies (1988, p.101), called “fictitious” commodities, and without a developed theory of the commodity form. Relatedly, his lack of interest in the concepts of capital and capitalism inhibited inquiry into processes that are indispensable to analysis of the contemporary world economy, such as accumulation, competition, capital concentration and centralization, and uneven development. With the Austrian marginalists, he believed regulated capitalism to be inherently unstable, an aberration. Thus, an asymmetry entered his treatment of the liberal market economy and its ‘others’, with the latter assembled into a heterogeneous category that received definition only indirectly, in the mirror of the abstraction that is the free market model. Secondly, the weight of explanation in The Great Transformation invariably falls upon ‘patterns of economic integration’ and the cultural forms and moral norms that shape economic behaviour, with little concern for the exercise of control over productive property and the systematic relationships of command and exclusion that flow from it. Thus it was that Polanyi’s diagnosis of the ills of the nineteenth century market society in Britain focused not upon exploitation and the commodification of labour-power but solely upon the latter, even though the generalization of commodity exchange, large-scale proletarianization, and the amassing of wealth and power by the ruling class represented interdependent moments of the same historical process. Thirdly, while Polanyi’s concept of counter-movement makes sense as a heuristic, referring to the tendency whereby the market system provokes demands for political protection against its excesses and despoliations, if given a more determinate content, it acts as a bad abstraction. By way of illustration, consider the movement in 2013 that sought to prevent the destruction of Gezi Park in Istanbul. It can be theorized as a Polanyian counter-movement, for it challenged the market-fuelled steamrollering of a popular urban habitat. Equally, the Justice and Development Party (AKP) that steered the steamroller and unleashed its youth wing against the protestors can be theorized as a Polanyian counter-movement, for it presents itself as a communitarian-Islamist resistance against the homogenising trends of economic globalization. As a strategic guide, the counter-movement concept is of limited value. Such creases and contradictions notwithstanding, The Great Transformation possesses an enduring potency. The intellectual tradition from which its author came was preoccupied with the meaning of human history and the future of liberal civilization, and Polanyi’s aim in his masterwork was grand: to comprehend the character and trajectory of an entire epoch. The canvas on which his theses are sketched is commensurately large. Combining a holistic methodology with wide-ranging comparative analysis, he was able to theorize grand historical trends without losing sight of the detailed intersections between economic history, international relations and social movements. Consider for example his analysis of the four interlocking crises of the inter-war period—of democracy, capitalism, peace, and the global economy—and the ways in which “social strains” sparked between the political and the economic, and between the national and the international. These facets of the interwar crisis are handled in The Great Transformation with remarkable erudition and consummate skill, as the narrative traces their complex interactions, with each connection multiplying the intensity of the crisis as a whole (Dale, 2008). More impressive even than this is Polanyi’s depiction of the devastating cultural consequences of the imposition of the market system. The Great Transformation provides a compelling account of the disintegration of Britain’s social fabric under the impact of marketization; it is all but unrivalled in its evocative depiction of market society as a sorcerer’s-apprentice world in which networks of exchange enmesh us all in webs of economic coercion. A further, and oft-noted, strength of The Great Transformation is its debunking of the myth of the industrial revolution as a purely private process supervised by a hands-off ‘nightwatchman’ state. In fact, Polanyi shows, behind the construction of the market system lay a programme of social engineering steered by states that were far more intrusive and muscular than any pre-modern equivalent. In this thesis, he inverts the familiar Hayekian indictment against socialism: that it represents an artificial experiment in social engineering, anti-human in its suppression of catallactic spontaneity. In The Great Transformation the tables are turned. In its schema, economic liberals are the utopian extremists while their opponents are bearers of a spontaneous reaction demanding social protection. After the publication of The Great Transformation, any university course on the topic of Political Extremism that failed to give proper scrutiny to classical liberalism—or its neoliberal and ordo-liberal heirs—would be conspicuously incomplete. Gareth Dale, ‘Karl Polanyi’s The Great Transformation: Perverse Effects, Protectionism, and Gemeinschaft,’ Economy and Society, Vol. 37, No. 4, pp. 495–524 (2008). Gareth Dale, Karl Polanyi: The Limits of the Market, Polity Press (2010). Kurtuluş Gemici, ‘The Neoclassical Origins of Polanyi’s Self-Regulating Market,’ Sociological Theory, Vol. 33(2) 125–147 (2015). Sandra Halperin, ‘Dynamics of Conflict and System Change: The Great Transformation Revisited,’ European Journal of International Relations, 10:2 (2004). Björn Hettne, ‘Neo-mercantilism: The pursuit of regionness,’ Cooperation and Conflict, 28:3 (1993). Björn Hettne, ‘Europe in a World of Regions,’ in Richard Falk and Tamas Szentes, eds, A New Europe in the Changing Global System, (Tokyo: United Nations University Press, 1997). Naeem Inayatullah and David Blaney, ‘Towards an Ethnological IPE: Karl Polanyi’s Double Critique of Capitalism,’ Millennium, 28:2 (1999). Hannes Lacher, ‘The politics of the market: Re‐reading Karl Polanyi,’ Global Society, 13:3 (1999). Karl Polanyi, The Great Transformation, Boston: Beacon Press (2001 ). John Ruggie, ‘International regimes, transactions, and change: Embedded liberalism in the postwar economic order,’ International Organization, 36:2 (1982). Ferdinand Tönnies, Community and Society, New Brunswick: Transaction (1988 ). Gareth Dale teaches politics and international relations at Brunel University. His publications include books on ‘green growth,’ the GDR and Eastern Europe, and international migration.